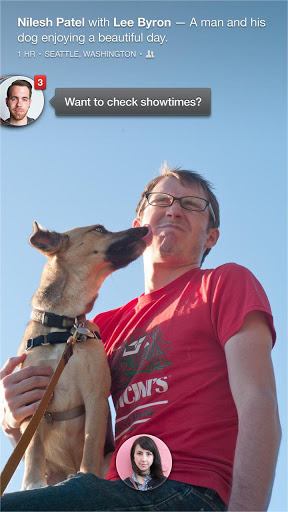 doublslash // Facebook Home: More than just an App. Back in 2007 when iPhone launched, so is the iOS (formerly, iPhone OS), Apple redefined the way people see smartphones, it doesn’t have to be a device with obscurely confusing keys, barely readable text, and a cluttered screen. While before 2 years in 2005, Google acquired Android Inc. and Andy Rubin joined Google, the acquisition was a part of Google’s Mobile strategy and the result was Android OS and Open Handset Alliance in 2007 which not only was a bugle call of war against Apple’s iOS but also against whole “proprietary” software dynasty. People argue that Google copied iOS thoroughly, which upto a certain extent, is also true, but Google did some things (read Notifications, App Development for beginners, etc.) better with Android than what Apple did. Over the years, both giants behind these platforms have copied best of each other and also have put worst of their own into the product. But the good part is, Google allowed others to dig into Android and fix what’s not right while Apple thinks its always right! 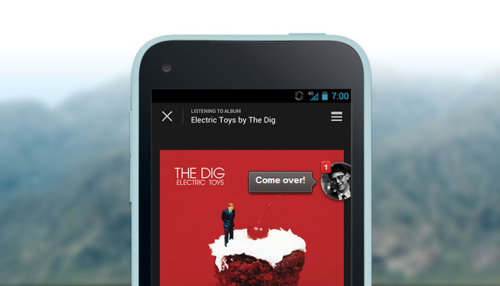 Why explaining so much of the origins of Android and iOS in an article about Facebook Home? Well, its important since both these platforms are going in a constant direction of icon-driven monotonous interface with identical design & user experience in one way or the other. Facebook Home is not only an app but an inspiration about how one can push any platform to its limits and create something wonderful in terms of a functional design. If not the vendors, developers can take over the platform and set new trends in app designing. Cover Feed, Chat Heads and Launcher can make you forget that you’re on good ol’ Android for a moment, it makes you use Facebook more than you do on a regular basis. Apart from some unexpected behaviors and limitations in the Chat Heads and Launcher, like, Chat Heads just don’t appear if you’re on any full-screen app which hides the notification bar (eg; Games, Flipboard and other alike), Launcher may not work the way you sometimes expect it to, the overall experience of Home is stupendous. And this is just a starting point of how Android can be made more usable, more rich. While iOS users are left in the dark for its own reasons as far as Facebook Home is concerned, but apps like Path, Passbook and Haze are a step forward to a new horizon of mobile app designing. Apple deeply integrated Facebook within iOS starting with version 6, having a Home-like experience might still be a dream, but still this could be a reason that Apple thinks again regarding the restrictions it puts for developers creating apps for iOS, and a reason more people adopt open software for its own good.